My new company, TayloeGray, just launched a cool new site. 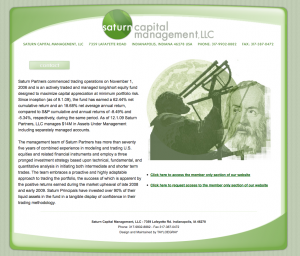 Saturn Capital Management is an actively traded and managed long/short equity fund. Unfortunately, you can see any of the content without being approved as an acreditied investor. This entry was posted in Web Design on December 14, 2009 by TGK Admin.